Best Alaska Shore Excursions - Top 10 Picks By Experts! 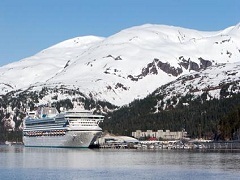 When cruising to Alaska you are treated to the sights, the sounds and the friendly people you meet on board and at stops in towns along the route. By pairing Alaska shore excursions with your trip, you are getting more out of your cruise and are free to explore more of the wonders of this great State, up close and personal. Since tastes differ between people, there are hundreds of things you can choose to participate in on shore. Here are just 10 of the wonderful things that await you when you opt for Alaska shore excursions. Helicopter Tours. Because of the vastness of the state of Alaska and the fact that much of it is wilderness and glaciers, taking a helicopter tour is one of the best ways to take in these phenomenal views. Some take you on tours of the glacial parks, others land on glaciers and allow you to get out and explore and some simply take you on a tour of the area. Watch out below for glimpses of wildlife as you take in the stunning views. Floatplane Tours. What better way to see the wilderness than by floatplane? In Ketchikan for example, you can partake in a tour of the Misty Fjords, where breathtaking scenery will astound you at every turn and you get to land right on a lake for a stunning picture-taking opportunity. Whale Watching. Many liners like with Holland America Alaska cruise tours offer the added opportunity to catch whales at play in the wild. By boat you travel out into the ocean where they are known to frequent, for that once-in-a-lifetime up-close viewing of these magnificent creatures. Sea Kayaking. If you are an avid kayaker or want to try it for the first time in pristine waters, adding this to your Alaska shore excursions will be a true delight. Tram Rides. If you opt for an excursion in Juneau, check out the Mt. Roberts Tramway, which takes you up a steep mountain for a breathtaking view of the area from above. Complete with restaurant and shops at the top, this makes for a unique experience for the whole family. Kenai Fjords Tours. This tour allows you to witness the glaciers and marine life of the area up close. As a National Park, this wilderness is protected as a natural area, and spans a vast amount of land. Dog Sled Tours. Ever dreamed of travelling by dog sled? Well, now you can. Nothing says Alaska better than a dog sled ride, so hop on board and have a great time on this tour! Mine Tours. Celebrate the history of the region complete with the gold mining that made the area famous when you tour a mine. Many towns have a mine and tours of it available. Hiking. Find a trail or forge on your own around towns and in the National Parks. There are tours available that allow you to take your time as you walk through the beauty of the area. Monument Tours/Museums. Found in most ports of call, come share the history that made Alaska what it is today when you visit the many museums or monuments in the area. When booking your cruise to Alaska, be sure to ask about Alaska cruise deals which may incorporate excursions into the cost of the trip. With so much to see and do once you disembark your cruise ship, you are sure to find an Alaska shore excursion that is just right for you. Keeping in mind price, time constraints and the weather are just some of the Alaska cruise tips to keep in mind when booking these excursions.